Since I’ve been carp fishing in France the boilie has indeed played a very large part in my angling, not only for carp but a host of other species, that all find them attractive and palatable. It is fair to say too that the quality of baits available in recent years has come on in leaps and bounds, especially in the self life category. A Boilie on a hair rig, is this the best summer bait? So what do I look for in a bait? I have used many different brands over the years which I have applied to my carp fishing in France, (I will add quickly here that I haven’’t rolled a bait myself for many years). There are a whole plethora to choose from on the market. I think it is important to choose one you are confident in and catches for you. In the summer I do like fish meal baits and have found them to be very effective. For the last few years I have put my faith in Quest Baits Special Crab and it has caught me a lot of fish. There are a number of baits with similar bases each have their own special recipe. Its up to you to try to see which you prefer, but you won’t go far wrong with the one I use. In the cooler months I like a bait that has a higher leakage, and with which I often associate a paste wrap. Since last year I’ve used Quest’s Absolute Seafood and done well, notably for barbel in the rivers over here. Are boilies necessarily the best bait? It never ceases to amaze me how many anglers I see arriving at Croix Blanche Lakes, never look beyond boilies as a bait. 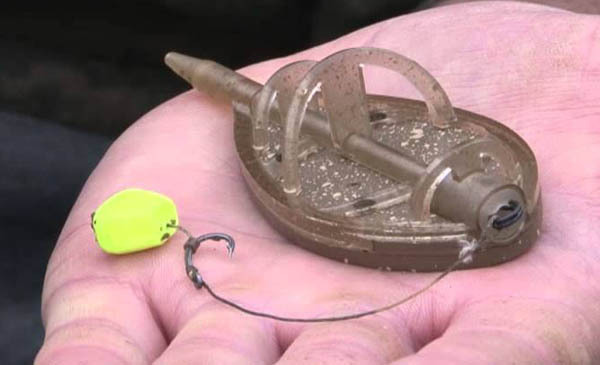 I guess most anglers these days chasing our quarry are from the post hair rig and boilie era, and never fished for carp when these two things didn’t exist. Rod Hutchinson was probably the best known pioneer of mass baits, but they work!! I am firmly of the belief that in the summer months boilies a not necessarily the best bait, especially when the water in question sees a large quantity used on a daily basis. Other baits such as Tiger nuts, particles and seed, pellets and artificial baits have produced far more fish for me over the last few seasons in warm conditions than the boilie. In fact this year, other than on the rivers I did not use a boilie until October. There are a number of reasons for this. In summer there is a wealth of natural food, so the fish don’t beed our baits. Mass baits can then add lots of small food items which are less likely to spook the fish than a round ball of bait. They keep the fish interested for a long time so you increase your chance of a take, and they increase the competition of a feeding group of fish. 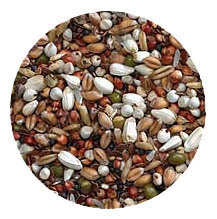 My favourite technique recently has been to use a seed (hemp, corn, wheat, crushed maize) and pellet ground bait which is the used in conjunction with a method feeder. A few spombs of this mix over the top, added every few hours or so and I’ve can get a nice cloud effect in the water. This has produced countless fish when others have sat behind biteless rods with boilies alone. I also find in summer that boilies can attract fish other than carp. I personally don’t mind this, but if you want to have the best chance of carp, avoiding other species is a key element. This is indeed the same reason I use large boilies on the rivers, to help avoid bream. ESP Method Feeder with artificial corn hook bait. On still waters with catfish, if I wand to help avoid them (this is never totally possible) I use seed and tiger nut or plastic corn as my main baits. In addition during the warmer months, surface baits and zigs come into their own, yet very few people ever really try them properly, yet will quite happily sit behind straight rods while a large head of fish cruise feet above their baits. So my advice to anglers coming carp fishing in France is to not put all you eggs in one basket and to keep your options open.